Who doesn’t long for a straight, healthy, beautiful smile? When common dental health issues such as tooth decay or periodontal disease threaten the longevity and beauty of your smile, comprehensive general dental care is crucial. Good dental health is the foundation of cosmetic dentistry and the underpinning of your attractive smile. 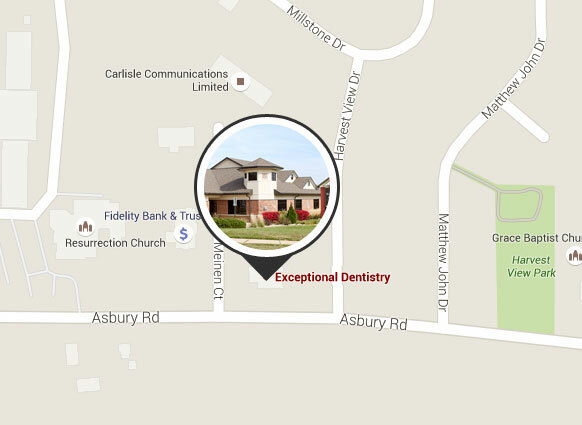 Exceptional Dentistry is among the top Dubuque family dentists. Call us at 563-556-2711 to schedule an appointment and learn how our skilled Dubuque family dentists can help. When gum disease is not promptly and properly treated it can lead to other serious health problems, including cardiovascular disease. Good oral hygiene can protect not just the teeth, gums and bite, but also the entire body. Regular brushing, flossing and use of antiseptic mouthwash comprise the basics of good at-home oral care. In some areas of the country, and for some age groups, fluoride treatments help to maintain strong teeth. Eating a healthy diet high in calcium and avoiding sugary foods and drinks can have a direct, positive effect on your family's dental health. We use a dental device called DIAGNOdent to detect early tooth decay. It uses a laser to find caries before any other method can do it, and that reduces the dental work necessary to repair decay. From young children to adults and seniors, the Dubuque family dental professionals at Exceptional Dentistry offer complete family dentistry. Here, you will receive compassionate care from dentists with LVI-trained experience, using top-level materials and precise technology. Exceptional Dentistry provides both family dentistry and general dentistry to the communities of Dubuque, Dyersville and Davenport, Iowa, as well as Galena, Illinois. Please contact our Dubuque family dentist office today online or by calling 563-556-2711 to schedule your personal consultation. "This office continues to amaze me with the level of service and professionalism I experience in every aspect of my dealings with them. I am very grateful for that day I first visited and it is my intention to continue to use Exceptional Dentistry for my dental health care. Thank you"